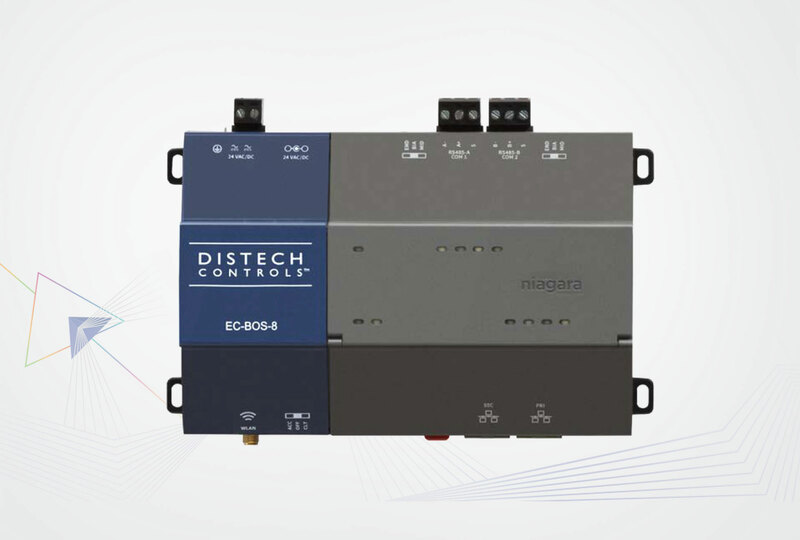 With Internet connectivity and Web serving capability, the EC-BOS-8 controller provides integrated control, supervision, data logging, alarming, scheduling, and network management. Also, it allows integration of various field buses and communication protocols. The EC-BOS-8 controller operates with EC-Net 4 web-based building management platform. No need for an additional voltage transformer since EC-BOS-8 is powered directly by global standard 24VAC/DC power supply.